Kiddo and I had the urge to make cookies, and since he doesn’t actually eat any of them, I get to pick the recipes. 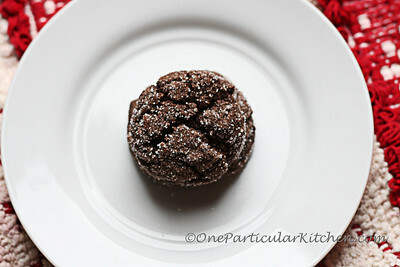 This one jumped right off the page at me, I swear: cookies plus chocolate plus coffee? Sign me up. This one is from the Better Homes and Gardens New Cookbook — you know, the red and white one. It’s a classic. WOW those look insanely delicious!! Oh YUM! These were SO good! Thanks for posting, because I will definitely be bookmarking and making! Yumm these look good! The second best way I can think to use VIA, aside from drinking it! WOW these look like truly immense cookies. Definitely a recipe to save ! I want one now!! Yum! Send the kiddos uneaten cookies my way! I sometimes make a vegan cookie like these. And, your’e right, this combination is so delicious! I love chocolate and coffee together. I just made these. I sort of improvised… 1/2 bc im dumb and forgot i meant to double the recipe and half bc i didnt have vanilla yogurt and didnt want to venture out in the snow. pretty much had the same recipe but used 2/3 of a cup of butter, 1/3 cup sour cream, and 1 tsp vanilla. i also made sure to keep it in the kitchenaid mixing for a couple extra minutes even after the ingredients were all blended. 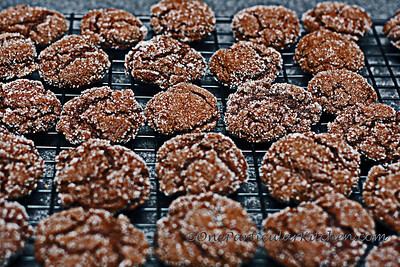 ergo, im not sureif its the nature of teh cookies or the extra minute/two of mixing but they were so deliciously light inside. uhhh an dthe coffeee and chocolate together! mmmm. let’s just say i scarfed down 5 of these even though its 1am and i have to be up at 6:30am. as in, i just traded my sleep for these tasty delights. PERFECT for Valentines day.. i just hope the taste lasts with time; hoping to send them to a friend across the country. These look awesome!! I so agree chocolate and coffee are an unbeatable duo. I love using VIA in recipes, this one will be made soon! I made these cookies tonight to take to my cousin’s home for Thanksgiving. I made a double recipe. They came out looking just like the photo, perfect at 8 minutes bake time. They are rich and delicious and have a lovely texture. Next time I may try putting some chocolate chips in them, but they are quite nice just the way they are.